GLP has earmarked Prolight+Sound for the first official showing of its impression S350. Offering an unparalleled feature set in the mid-range class, visitors will have the opportunity to see it in action at the booth (4:0, G20). What makes this fixture so special? For a start, its perfect white light LED engine with full spectrum to create saturated and pastel colors as well as lively colors and skin tones with optimized color rendering (CRI of 96), With this core, the impression S350 is delivering bright clarity in the projected beam with less than a 15% drop in output within the zoom range. The other outstanding feature is the four blade framing. Each blade of the framing system can be adjusted in angle by ±30° and in position from 0-100% for pointed triangles and complete blackouts. There are no limits in Gobo or Animation wheel framing with real linear framing image. The whole framing unit can be rotated by ±45 degrees. Smooth dimming and even field distribution, along with clear image projection, are other stand out features. With near silent operation, the impression S350 is suitable for every kind of venue and event that requires a powerful fixture in a small and subtle housing, with all the low maintenance benefits of LED technology, from a proven manufacturer. The full CMY color mixing system is supported by a fixed color wheel with 5 deep saturated colors and 5 color temperature correction filters. Aside from the full framing shutter system, and is then supported by a fully rotatable and repositionable animation wheel, a rotating gobo wheel with seven positions plus open, a static gobo wheel with 10 positions plus open, a rotating prism and a 2 way frost from soft to hard frost. Beam capabilities include motorized focus and a zoom that gives a wide range of 7° to 48°. 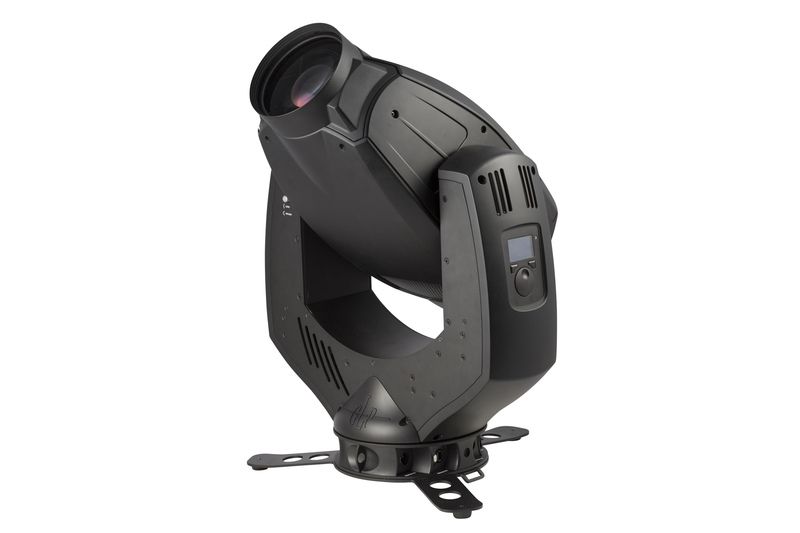 The impression S350 features GLP’s unique baseless design with full 16 bit pan and tilt movement, full range dimming and shuttering capability. With a low weight of just 25kg / 55 lbs., the impression S350 also features an inbuilt battery for fixture setup, an auto sensing power supply and the option to have wireless DMX control.